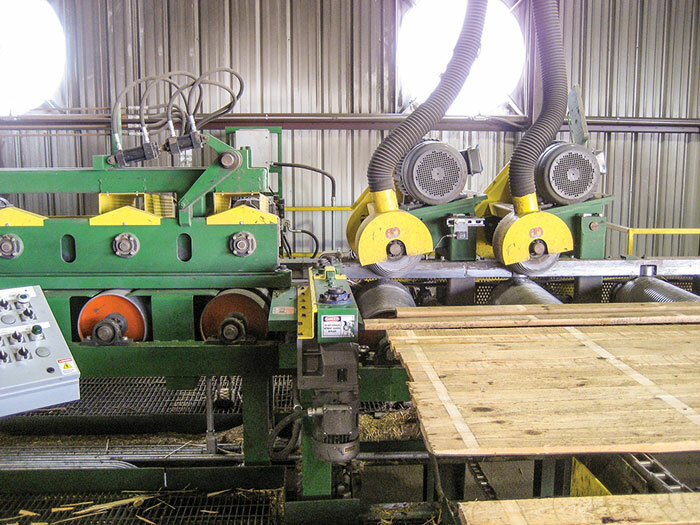 Timber Processing magazine’s May 2015 issue features Ellsworth, Maine’s Pleasant River Lumber Company and their constant search for new market opportunities. Also featured is an article highlighting brightening markets and more sawmill activity, which will be evident at this year’s Forest Products Machinery & Equipment Exposition (SFPA Expo), to be held in Atlanta on June 10-12. A full preview of the 2015 SFPA Expo is also featured. 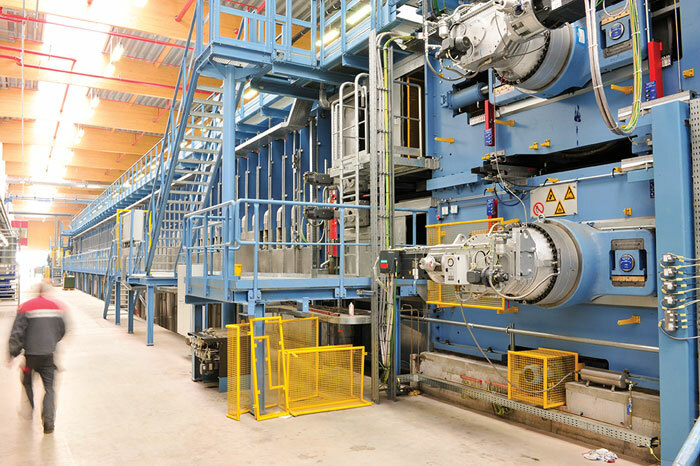 Other articles cover Neiman Enterprises’ completion of its modernization at its latest sawmill acquisition, Montrose Forest Products, and Pollmeier Group’s new beech LVL plant in Germany. 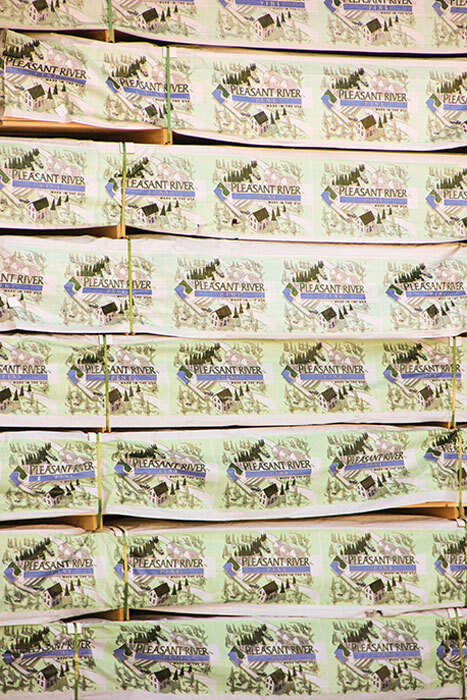 Timber Processing magazine Associate Editor Jessica Johnson travels to Ellsworth, Maine to visit Pleasant River Lumber Company. The ownership team of Pleasant River Lumber Co. was created in 2004 when several members of the Brochu Family got together with two family friends with strong accounting backgrounds and purchased a dimension mill in Dover-Foxcroft, Me. The company has transitioned over the last decade with significant growth and changes in ownership as members of the original group retired from the company. The original ownership team consisted of Adrien, Guy, Luke, Jason and Chris Brochu, Rodney Irish, and Moe Bisson. Guy retired from the company in 2009 and Luke, who recently received the Alfred D. Nutting Award from the Maine Forest Products Council for his vast contributions to Maine’s forest industry, retired at the end of 2013. 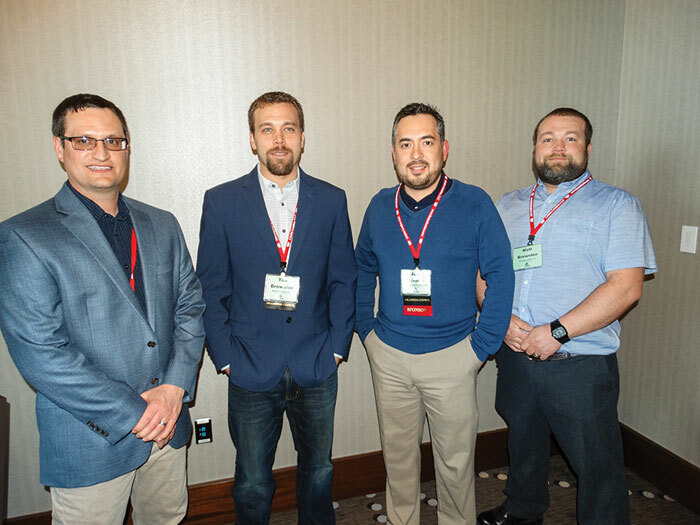 Timber Processing magazine Managing Editor Dan Shell highlights brightening markets and more sawmill activity, which will be evident at this year’s Forest Products Machinery & Equipment Exposition (SFPA Expo). Expanding in response to brightening markets and more sawmill activity as the forest products industry recovers from the economic downturn, the Southern Forest Products Assn.’s 33rd Forest Products Machinery & Equipment Exposition held in Atlanta at the World Congress Center June 10-12 is the largest it’s been in years. According to show officials, the 2015 SFPA Expo is 30% larger than the 2013 show, as more than 150 equipment and services vendors and suppliers are set to exhibit the latest machinery and services for the forest products industry. This year’s SFPA Expo covers almost 50,000 square feet of indoor space, after SFPA sold out its allotted area inside the World Congress Center. The following companies are advertising in this issue of Timber Processing and are also exhibiting at the 2015 Forest Products Machinery & Equipment Exposition at the Georgia World Congress Center in Atlanta on June 10-12: Actiw LoadPlate, Advanced Sawmill Machinery, Automation & Electronics USA, Baxley Equipment Co., Carbotech International, Comact, Cone-Omega, Cut Technologies, Delta Computer Systems, Gilbert Products, Hurdle Machine Works, Hildebrand, Hurst Boiler & Welding, JoeScan, Metal Detectors Inc., Mid-South Engineering, Microtec, Muhlbock Holztrocknungsanlagen, LMI Technologies, Oleson Saw Technology, Salem Equipment, Optimil, Pantron Automation, Pierce Construction, Porter Engineering, Price LogPro, Lucidyne Technologies, SCS Forest Products, SiCam Systems Corp., Simonds International, Springer, U.S. Blades, USNR, BEP Engineering Services, WaneShear Technologies, and Endurance Equipment. (This article and photos appeared in the USNR publication, Millwide Insider, and appears in this issue of Timber Processing magazine with permission.) A modern, green end high speed trimmer, sorter and stacker line has given new lease on life to the Montrose Forest Products sawmill here. With the latest technology matched to processing requirements and long-term supply of raw materials, the Neiman-owned operation is back in the game. While there has been a move toward consolidation among some lumber producers. there are still many independent operators whose businesses are thriving. One such stalwart is Neiman Enterprises headquartered at Hulett, Wyoming. In 2012 it added a fourth mill to its portfolio of lumber operations when it acquired Intermountain Resources at Montrose and restarted it under the name Montrose Forest Products. (This article, written by Rick Meyerhoefer with Delta Computer Systems, Inc., appears in this issue of Timber Processing magazine with permission.) 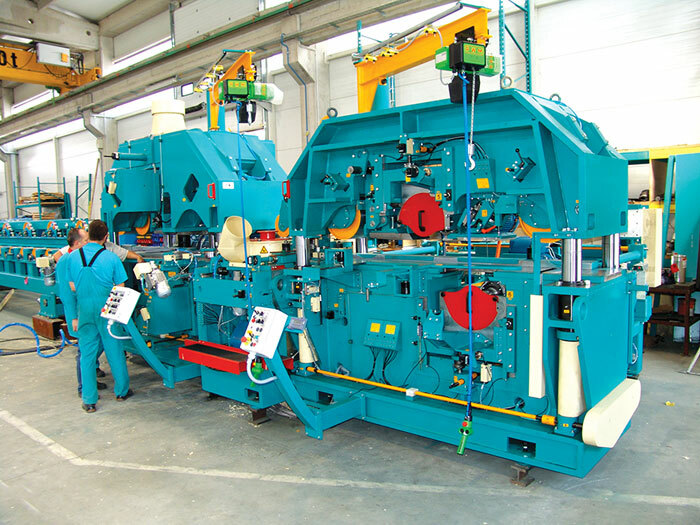 Whether you’re building a new sawmill machine or retrofitting an old one to improve mill productivity, it’s good to consider functionally partitioning the machine’s supervisory, computing and control resources to employ the best system element for each task. Even relatively simple applications involving motion can benefit from the use of an intelligent, programmable motion controller which has built-in functions and support software to make controlling and optimizing the motion easier. System integrator Automated Control Solutions of Hot Springs, Ark. has been making PLC vs. motion controller tradeoffs as a regular part of its machine development work for over a decade. 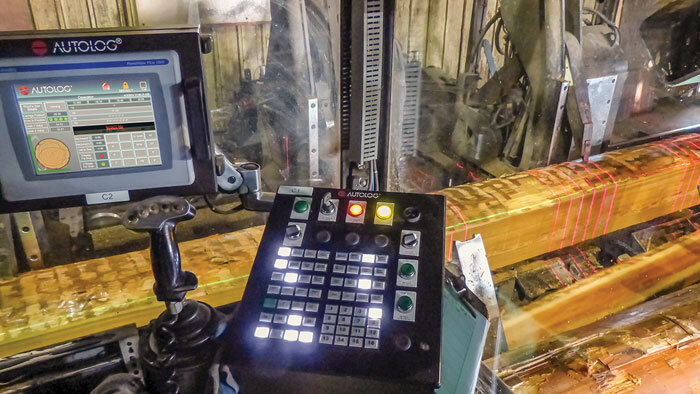 The company has just completed the control system for a planer at the Suwannee Lumber mill in Cross City. 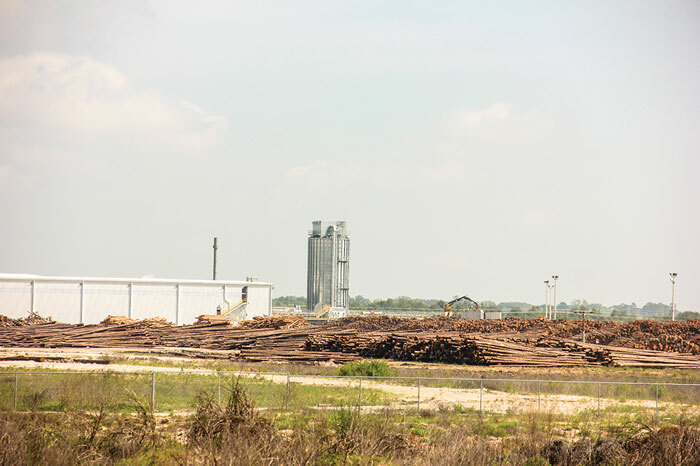 (This article was submitted to Timber Processing by Eric Wagner of Wagner Meters.) 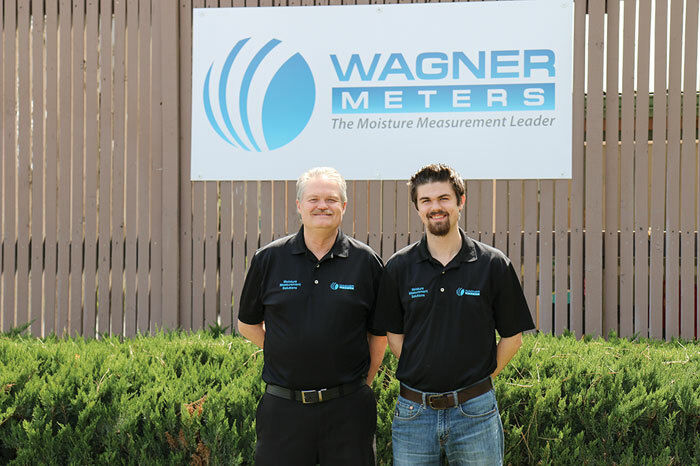 This year Wagner Meters celebrates the 50th anniversary of a true American Dream story—that of a young man who founded a small company and, with imagination and vision, strong values, and a commitment to making products that outperformed all others, built it into one of the premier moisture meter companies serving the forest products industry. Although Wagner Meters began 50 years ago, the story of how we came to be starts a few years earlier. It was sometime in the early 1960s at a sawmill in Redmond, Ore. Mill management was frustrated. Their traditional contact moisture detectors were giving them fits. These detectors came in big, bulky cabinets equipped with radio vacuum tubes. Hard to use, hard to calibrate, and hard to interpret, it was no wonder they were troublesome. (This article originally appeared in Panel World magazine, an affiliate of Timber Processing magazine.) 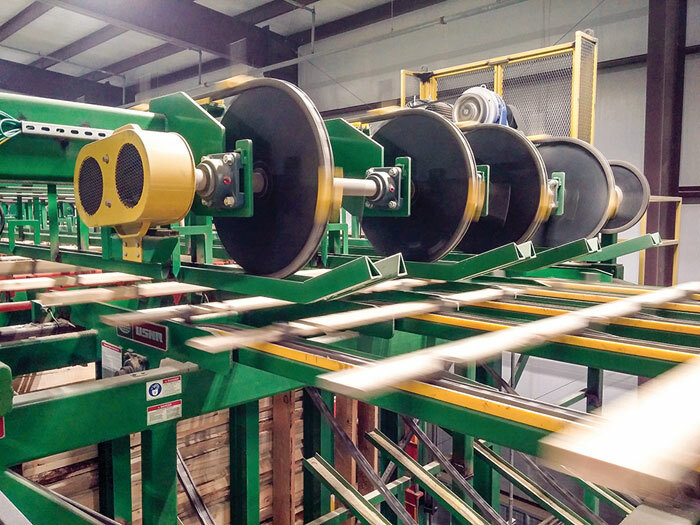 Pollmeier Group continues to make great strides introducing into building markets new products from its new beech laminated veneer lumber plant here. The EUR 105 million, 180,000 m3 production capacity plant started up a year ago. Pollmeier Group owner and managing director Ralf Pollmeier says that while “finding new markets is easy,” the manufacturing process is still a work in progress. Pollmeier says the values and characteristics of beech (and most hardwoods)—strength and hardness for example—also invite startup machining and processing challenges because it’s “heavier, less forgiving, difficult to compress, etc.” Pollmeier may be a bit too tough on himself, considering the uniqueness of the operation—LVL from hardwood, which provides higher strength values, excellent surface quality and maintains the appealing look of hardwood.